Giveaway, Giveaway: Win a Hellopillow! Hello! I hope you enjoyed a relaxing weekend and are all geared up for another week. I have some exciting news for you today. I am teaming up with Delft based interior designers and bloggers Nu interieur|ontwerp and Paris based Hellopillow, the creative minds behind the most gorgeous cushions and accessories. Last week, I got together with Nathalie Fransen of Nu interieur|ontwerp at her home in Delft to style and shoot some of the pillows sent in fresh from Paris. 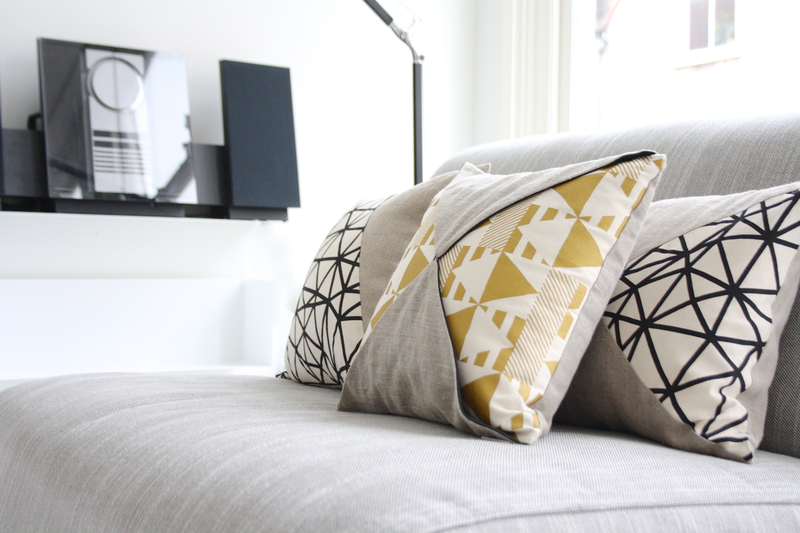 For the shoot we selected a variety of cushions from Hellopillow’s Graphic Mood Collection made up of black and gold graphic designs incorporating beige linen. Against the crisp white backdrop of Nathalie’s newly renovated inner city apartment, in a Scandinavian style setting, the pillows looked fantastic. 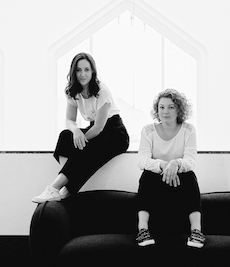 Parisian fashion designer Raphaëlle H’limi is the creative mind behind Hellopillow. With en eye for colour and textile, she launched the label in 2009. Her cushions are inspired by origami and children’s games and are designed employing an artful cutting and folding technique. The results are unique and timeless pieces made from quality natural fabrics and are produced by local craftsman in Paris. 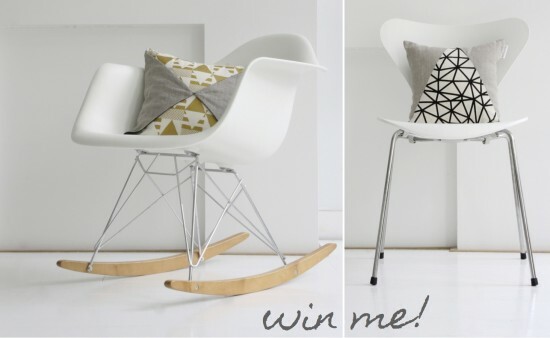 For an extra chance to win, leave a comment over at Nu interieur|ontwerp, and pop over to the Avenue Lifestyle and/or Nu interieur|ontwerp Facebook pages and give them a like too! The winners will be drawn at random on Monday, 1 July. There will be five winners, each receiving one of the lovely pillows you see here. Think one of these beauties will look great in your home? Hurry and enter! Nice pillows! I hope so I’ll win a nice pillow. Wow, I am looking for a complete new look of my home, and this would fit in perfectly! Hellopillow is een erg mooi merk! Ze hebben mij ook al benaderd voor de webshop. Maar wacht nog even een aantal maanden. De foto’s zijn erg mooi geworden! Natuurlijk zou ik ook zelf graag een Hellopillow kussen willen winnen! Ze zouden prachtig staan op onze antraciet grijze bank. Ik like jullie alle 3 al op Facebook! Wow! This would perfectly fit my new couch in my new home! Thanks. I love all the facebook pages (barbaralabelge). Thanks again. Have a good day. Would look fabulous on my single arm chair in the living room we just purchased! Moving into our new little appartment in a month and I’m so stoked to style it! Ik weet wel een plekje:buiten op mijn bedbankje, zodra we naar buiten kunnen om te genieten van de zon. Rond 1 juli moet dat toch gaan lukken? En dan mijn 50 ste verjaardag vieren! Love these pillows and would love one for my bed! I would put these pillows on couches in my living room! Wauw! What a great give away! One of these pillows will look so great in my eames rocking chair! I would place it on my couch which is gray and could use a bit of color! These are gorgeous and I’d love to win one! Beautiful pillows! They would look great on our white wooden bench next to the dining table! Wow, I really love the pillows! One of them will be great on my couch, next to the fox pillow! 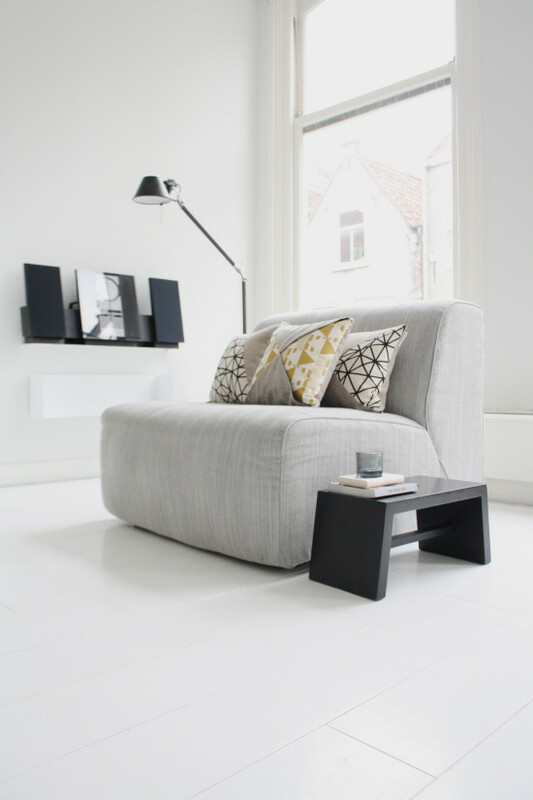 I liked the fbpage and also post a comment on Nu interieur. Hope I’m not too late. I would love one of these beauties!!! Where wouldn’t I put it…I’d definitely have to get some more to keep it company.